Fans and their families nationwide will honk their horns for high-speed adventure when “Turbo Charged Chugger,” an action-packed new “Chuggington” DVD from Anchor Bay Entertainment, pulls into retail nationwide on February 10, 2015. Featuring six turbo-charged episodes, plus a special free custom activity book with colorful stickers from Bendon Publishing, the latest traintastic “Chuggington” DVD is just the ticket for Valentine’s Day fun for preschoolers from coast to coast! 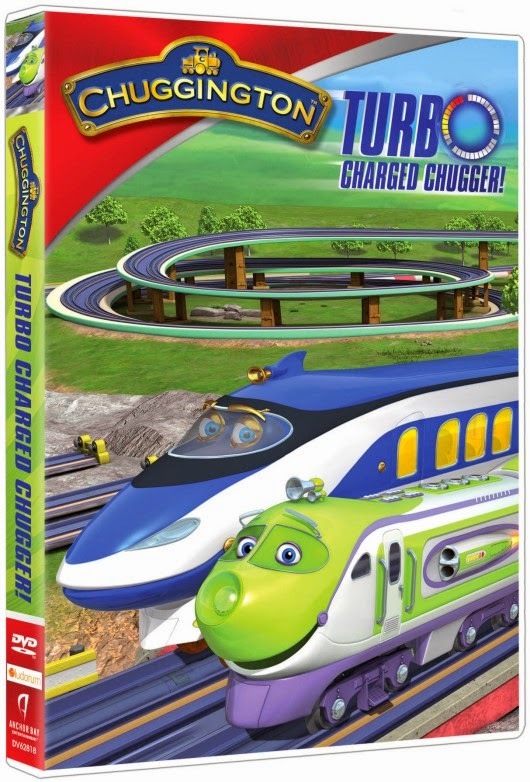 Win it: One lucky reader will win a Chuggington “Turbo Charged Chugger” DVD. This giveaway will end February 17th at 12:00 AM EST. The winner will have 48 hours to respond to my email. If no response, a new winner will be chosen. Open to residents of the US. My nephew is a Chuggington fan! My grandsons are big fans of Chuggington! My nephews are big fans of Chuggington! My two boys love Chuggington! My 3 year old son is a big fan! My son is a Chuggington fan. Both of my sons are Chuggington fans! My grandson and granddaughter both like Chuggington. My son loves Chuggington - and so does my mom when she babysits! Those other "engines" are so mean and can be jerks to they're so called friends - I love the Chuggington characters! My friend's grandson is a train fanatic. Both of my boys are HUGE Chuggington fans! My special little friend, Banks loves these little trains. He would pick that for his movie time for the day. Then also two nephews that enjoy this. My 3 year old daughter is a fan. My son - He Loves trains!